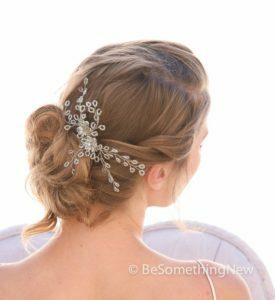 Looking for some beautiful and stylish hair pieces for your wedding day? Check out Be Something New on Etsy.com! We fell in love instantly with these handmade designs. All the items are handmade and shipped from California. 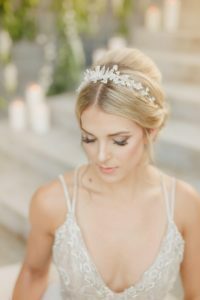 These beautiful headpieces are perfect to make any bride feel like a princess on her special day. This beautiful one of the kind tiara is made with vintage pearls and glass crystal beads. All the pieces are wired together so the tiara is lightweight. Do you love this stunning tiara? Don’t wait or you may miss your chance! Matched with the perfect lighting this tiara creates an icy look. Made for every princess. In addition to crystal tiaras, elegant wedding comb are a perfect simple addition to your wedding look. The comb has an array of beads and crystal flowers. It is easy to place in your hair and is simple but elegant. These beautiful bridal hair combs make the perfect bridesmaid gift and can be worn again for any occasion. Every bride should feel like a princess on their wedding day. We found some stunning wedding crowns that are elegant and have a magical feel. This rustic gold wedding crown was handmade by using vintage crystals, golden leaves and flowers. The crystal trail measures about 17 inches down your hair. This would be gorgeous addition for a rustic fall or winter wedding. 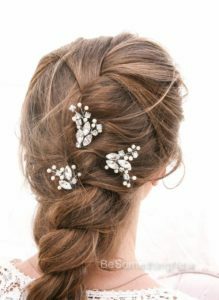 These stunning bridal hair pins are perfect for weddings, prom, homecomings, or even as a bridesmaid gift. They are made of pearls and rhinestones wired to bobby pins and comes in sets of 3 pins. Each pin in hand designed and creates an elegant look for any hairstyle. They are so easy to place into your hair and why not add a little touch of sparkle to your hair? We love fabulous finds on Etsy. This long gold wedding hair wine is wired with pearls, metal flowers, and leaves. It is made out of gold brass and champagne colored pearls. Make a statement wearing this hair vine. It is flexible and can wind through your hair with a long braid. The vine has pins attached that makes it easy to place. The one pictured is 29 inches long, but you are able to order it in different lengths. 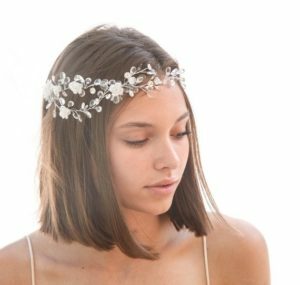 This bridal hair piece is perfect for the boho wedding or any special event. If you want to learn more about Be Something New or visit their Etsy shop to see some of their amazing pieces, click here. 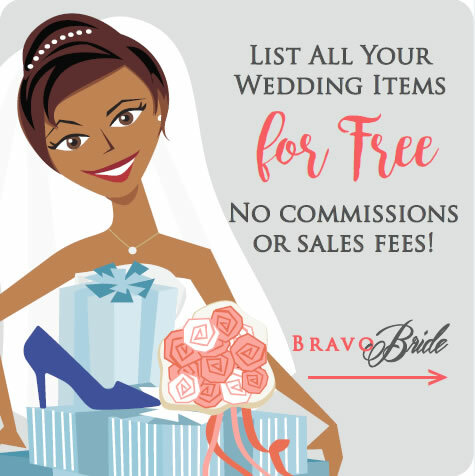 And as always, make sure to check out BravoBride for good-as-new, discount wedding accessories for your special day!